A New Yorker by birth, Eric Laster lives in Los Angeles. After a successful stint as a ghostwriter, Eric re-launched under his own name with the middle-grade novel Welfy Q. Deederhoth: Meat Purveyor, World Savior. Whenever he’s not scribing, Eric records punk rock and presses it to vinyl. "Original and unfailingly entertaining from first page to last, Static by Eric Laster is deftly crafted and highly recommended for personal reading lists, as well as school and community library YA fiction collections." "Eric Laster has a way of writing that cuts straight to the heart....Each of the A New Yorker by birth, Eric Laster lives in Los Angeles. After a successful stint as a ghostwriter, Eric re-launched under his own name with the middle-grade novel Welfy Q. Deederhoth: Meat Purveyor, World Savior. Whenever he’s not scribing, Eric records punk rock and presses it to vinyl. "Eric Laster has a way of writing that cuts straight to the heart....Each of the conflicts the characters encounter are so relatable it's hard to stop reading." To ask Eric Laster questions, please sign up. Looking forward to reading "Static" when it comes out. I'm always interested in how writers get their ideas or what inspired them. How did "Static" develop? What inspired it? Eric Laster Love for my younger brother—and Nalley's Potato Sauce. Please see the book for more information! We’d love your help. 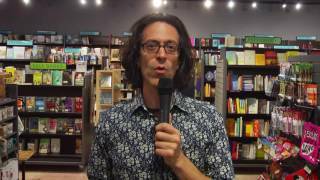 Let us know what’s wrong with this preview of The Uses of Enchantment by Bruno Bettelheim. We’d love your help. Let us know what’s wrong with this preview of On Beauty by Zadie Smith. "I think this is one of the best books I have ever read. It has a smart plot with amazing characters. 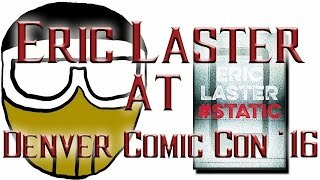 I have met the author, Eric Laster, at Comicon 2015 when I got the book. I met him again at Comicon 2016 and I told him how much I adore this book..."
We’d love your help. Let us know what’s wrong with this preview of Hazard of New Fortunes by William Dean Howells.